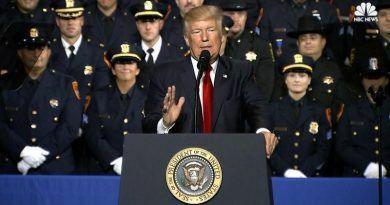 THE BOTTOM LINE IS: You must obey police officers orders and do what you are told, so there will be no problems! They have a job to do and it has to be a hard one and very unsafe for them, but without them who knows what would this country be like. 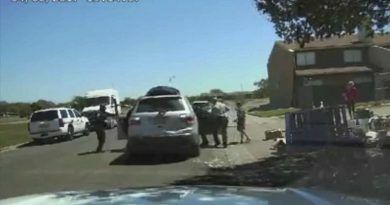 A new video was posted on the Internet and shows a Texas police officer shooting a suspect who was stabbing and attempting to behead another man. This incident took place on March 1, when Officer Blake Witherspoon, responded to a panicked 911 caller who said a stabbing was taking place. 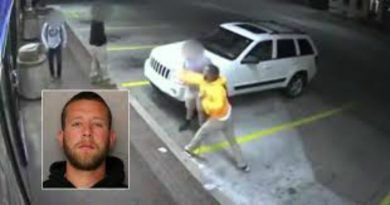 When Witherspoon arrived on the scene, he found suspect Epthen Johnson repeatedly stabbing another man in the neck and head. 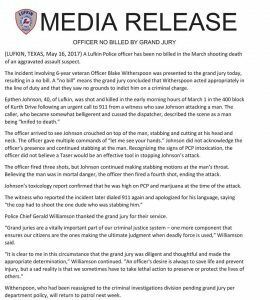 Body camera footage released this week shows Lufkin (TX) Police Officer Black Witherspoon responding to reports of a man attacking someone. When Witherspoon arrived on the scene, he saw 40-year-old Epthen Johnson on top of the suspect. He instantly recognized that Johnson was stabbing the other man, and repeatedly told him to raise his hands, but Johnson did not respond or even acknowledge Witherspoon was there. An additional shot was fired, ending the vicious attack. When blood tests were run on Johnson, it was discovered that at the time of the attack he was high on PCP and Marijuana. A grand jury cleared Officer Witherspoon of any wrongdoing earlier this week. The officer reacted with split-second decision and did the right thing! Tragic situation but well reacted. 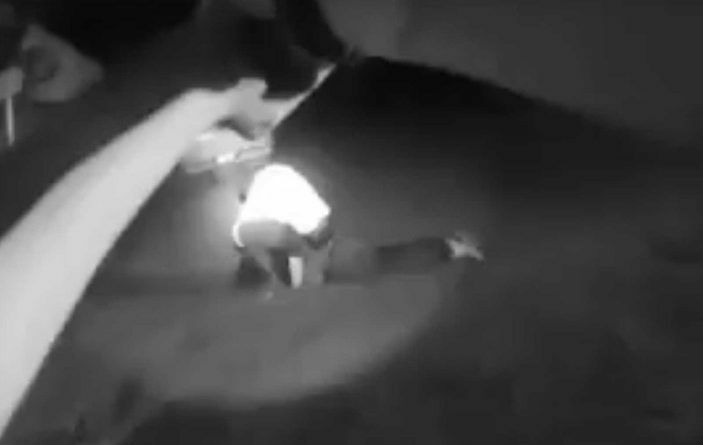 Officer gave the guy time to surrender; the attacker refused to stop – cop’s only option was to shoot to save the victim’s life. A taser wouldn’t have been enough on that occasion.